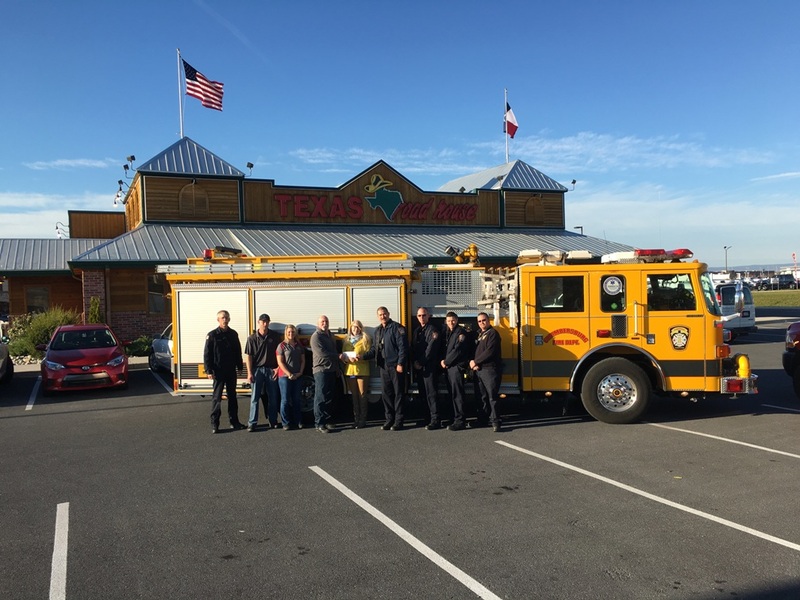 B-shift staff presented a check in the amount of $1500 to the Muscular Dystrophy Association (MDA) at the Texas Roadhouse, Chambersburg location. 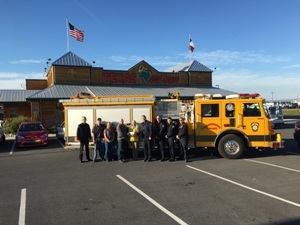 The CFD Local 1813 partnered with the Texas Roadhouse employees to conduct the annual “Fill the Boot” campaign. MDA and the International Association of Fire Fighters (IAFF) celebrate more than 60 years of a partnership committed to saving lives. As the Muscular Dystrophy Association's largest national sponsor, the IAFF fuels MDA's mission to save and improve the lives of people affected by Muscular Dystrophy, ALS and other diseases that severely limit strength and mobility.